Rehabilitation after a hip replacement surgery is important. It's also important not to overdo it and risk re-injuring the hip. 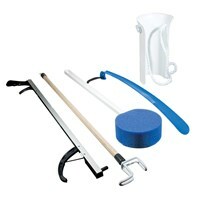 This Rehab Accessory Pack III can help. 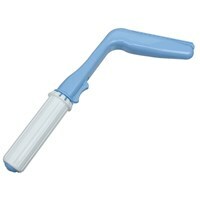 It offers a 24 plastic shoe horn, a 24 trigger-activated grabber, a 22 long sponge on a stick, and a 9 long flexible terry cloth sock aid. 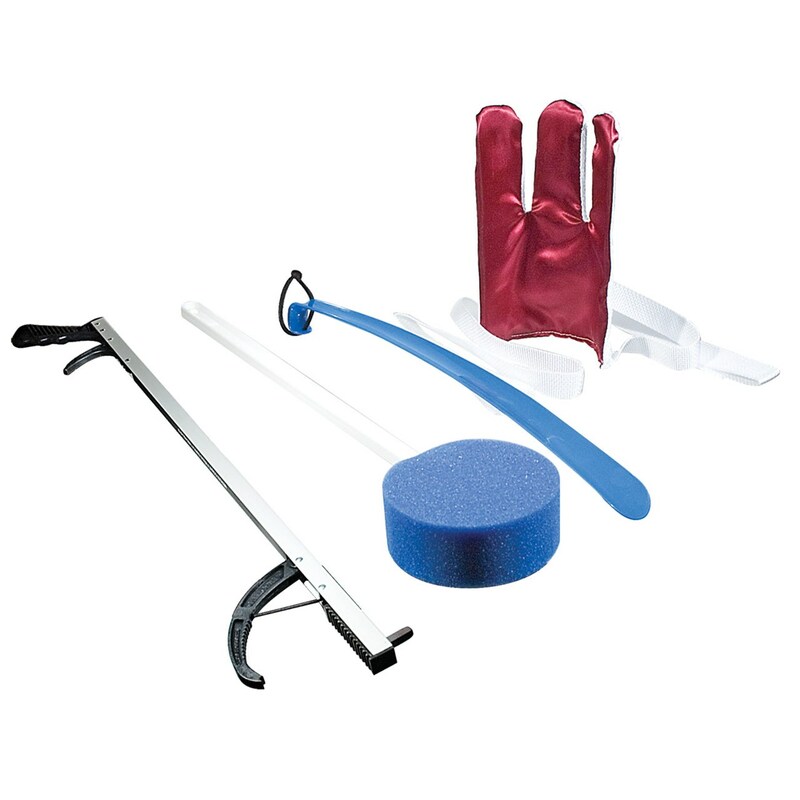 Together, these items will relieve you of unnecessary reaching and stretching that may cause injury.